Deadline for North Tonawanda Preservation Planning Workshop Extended to Monday, March 25! The deadline to register for our next workshop session has been EXTENDED to Monday, March 25! Register below to join us in Niagara County on Monday, April 1 at the the Herschell Carrousel Factory Museum for our first workshop of the year, Preservation Planning for Collecting Institutions. As always, DHPSNY's workshops are presented free of charge for New York institutions, and space is limited. Visit dhpsny.org for a complete schedule of upcoming programs. 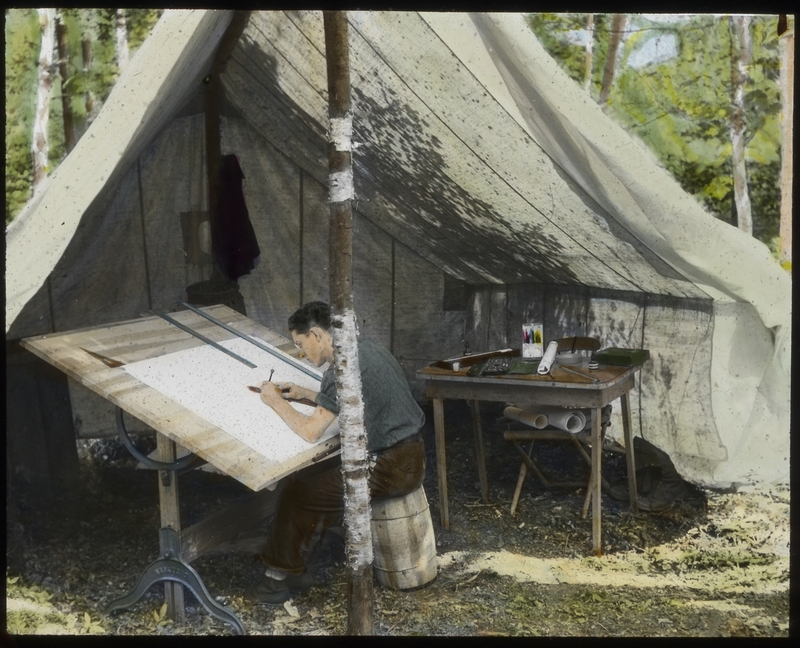 "College of Forestry student seated in tent in Huntington Forest” State University of New York,1925.